Encourage businesses in Boulder to join our community's recycling efforts. Download our nifty take-action cards! Share 10 cards and win a $50 Whole Foods gift card OR one-night stay at Briar Rose Bed and Breakfast Inn! Are you a business looking for recycling resources? Click here. » Using the cards? Tell us where you dropped them off! Leave behind these cards at Boulder businesses that are doing a great job recycling. Leave behind these cards at Boulder businesses that either don't have recycling bins or that have recycling bins with lots of non-recyclable materials in them – check the box that applies. It comes with recycling NOs on the back to help businesses clean their recycling stream. Remember to leave them a personal note! Use these cards if you want to help a business clean their recycling stream -- it's a full page with complete recycling guidelines on the back. Having trouble printing? Please shoot us an email. Thank businesses doing the right thing by sharing this card on their social media page with the tag #getbizrecycling. Encourage businesses to get non-recyclables out of their recycling bin by sharing this card on social media with the tag #getbizrecycling. Share this card with businesses who don't appear to be recycling at all - include the tag #getbizrecycling. Click on the card (above) you want to use. Using the hashtag #getbizrecycling, post the image to the business’s Facebook wall, or tag them on Twitter or Instagram with the image attached. Having trouble sharing? Please shoot us an email. My customers are asking me to start recycling. You can also visit the City of Boulder's Business Zero Waste page to get information about financial incentives. I have recycling services but need to clean my stream of materials that aren’t recyclable. Eco-Cycle also offers recycling trainings and other resources to help your staff know the ins and outs of recycling properly. Click here to learn more and contact us. I’m getting lots of “Thanks for recycling!” cards. Now what? Way to go! 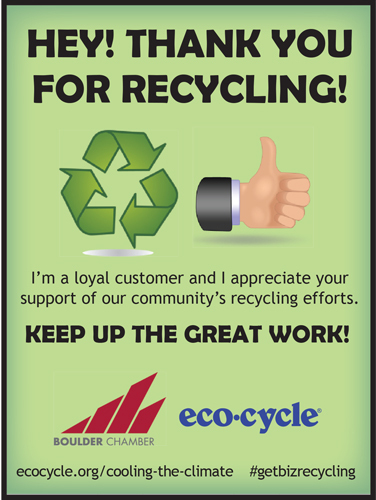 Thanks for joining the rest of our community in making recycling a priority. Interested in doing more but not sure how to begin? Contact our business services department for Zero Waste consultation. We can share with you many different options for how to recycle and compost as much of your waste as possible, and how to reduce waste in the first place and potentially save your business money. Are you going for Zero Waste in all the ways mentioned above? That is just fantastic! Thank you for being a sustainable business leader in our community. Sign our petition to make recycling a requirement for businesses in Boulder. Let your customers know you support this campaign. Borrow the language above and share the petition through your social media channels. 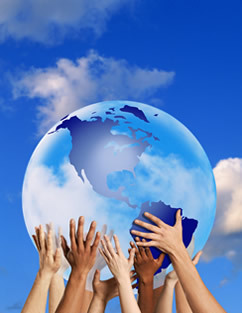 Give us a testimonial explaining why it’s important for your business to recycle. We’ll share it on our campaign webpage. The City of Boulder should pass a city ordinance to require all Boulder businesses to recycle and restaurants and grocery stores to compost. Recycling and composting are one of the fastest, cheapest ways to reduce greenhouse gas emissions. According to 2013 City of Boulder data, we recycle 33% of our total waste. Other cities such as San Francisco, CA, San Diego, CA, Portland, OR, and Madison, WI far surpass us, recycling and composting between 60 and 80%. These cities with high recycling and composting rates are successful thanks in large part to an ordinance requiring businesses to recycle. In Boulder, single-family homes are leading the way by recycling and composting close to 60% of their waste while businesses are only recycling and composting 28% of their waste. Sixty-five percent of Boulder’s waste stream is generated by businesses and industry. Businesses have been encouraged to voluntarily recycle for more than 25 years, yet the sector continues to lag behind. Many Boulder businesses are doing their part. But unfortunately, there are many who are not. Passing a city-wide ordinance will level the playing field and create a new standardization for Boulder. The ordinance could require property owners to offer recycling and composting to their business tenants. It can also address land use codes that currently limit recycling and composting by considering exemptions for some businesses (e.g. allowing recycling and compost dumpsters to occupy existing parking spaces when appropriate). 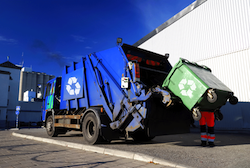 Businesses can adjust their trash costs by switching to recycling and composting and as result substantially reduce their trash service frequency or volume. The new ordinance could be phased in over time to give businesses the opportunity to adapt to the new standard. A mandatory commercial recycling and composting ordinance can help our local economy. Boulder businesses currently spend approximately $1 million every year to landfill an estimated 10,000 tons of cardboard, paper, bottles, and cans that could have been recycled. If those 10,000 tons were recycled instead, they would be worth $200,000 to local businesses and haulers. A recent city Zero Waste evaluation study concluded that a mandatory business recycling policy in Boulder would create between 15 and 33 new jobs. If every business in Boulder recycled and all restaurants and grocery stores composted, behavior change would happen much faster and we’d have a great chance to reach our community goal of recycling and composting 85% by 2017. Passing a new mandatory commercial recycling and composting ordinance is the right thing to do for our environment and our economy. 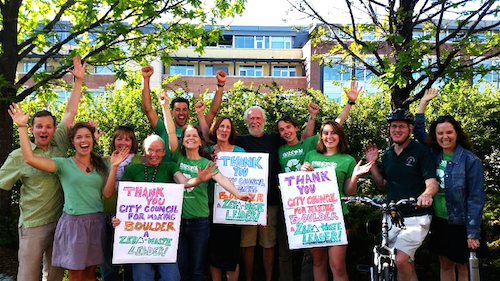 Boulder Makes Zero Waste History! In June, Boulder City Council unanimously voted to approve a new Universal Zero Waste Ordinance that requires ALL property owners, including homeowners, to provide recycle, compost and trash service and ALL local businesses, including schools, nonprofits, and institutions, to sort materials for recycling and composting. This makes Boulder the first city in Colorado and the third city in the nation, along with Seattle and San Francisco, to require all businesses citywide to recycle and compost. This is an important step towards reducing local pollution that adds to climate change and achieving the city's Zero Waste goal of diverting 85 percent of waste from the landfill by 2025. For more info, contact our Director of Community Campaigns, Randy Moorman, or click here for a fact sheet. All property owners, including single-family homeowners, apartments and condominium owners, Home Owner Associations and business properties will be required to maintain a current and valid contract with one or more haulers providing the removal of trash, recyclables and compostables AND establish on-site collection for recyclable and compostable materials convenient to occupants and tenants by June 17, 2016. ALL businesses must separate recyclable and compostable material from the trash and provide recyclables and compostables containers for employees and customers by September 17, 2016. The city may fine violators of the ordinance $500 for first violation, $1000 for second violation, $2000 for third and subsequent violations—although the focus for the first year will be on educating and helping businesses to come into compliance, rather than issuing fines. Businesses in Boulder recycle and compost only 28% of their trash, according to the most recent city data. Only 33 percent of the waste produced by the entire city is recycled and composted each year. The city wants to increase that amount to 85 percent by 2025. Let's help Boulder meet that goal. Recycling and composting are one of the fastest, cheapest ways to reduce greenhouse gas emissions. If we want to get serious about preventing methane and carbon emissions, we need everyone’s participation. Citizens, businesses, organizations and policy makers all have a role to play in achieving our climate and Zero Waste goals. Let’s work together to lower our carbon and methane footprint by requiring Boulder businesses to recycle and compost. Boulder is a leader with its Zero Waste Master Plan and many of its Zero Waste programs, but we’re falling behind on achieving our goals and other cities are proving we could be doing a LOT better. Leading communities are recovering more than 60% of their waste and pushing toward 70%, even 80%! Leading US communities require businesses to recycle as a key strategy toward reducing greenhouse gas emissions and moving toward Zero Waste. Businesses in Seattle lead the way by recycling and composting more than 60% of their waste! That’s nearly twice as much as Boulder businesses. Click on the map to learn more about leading cities around the US and the policies they use to increase business recycling. There are a LOT of businesses in Boulder that are leading the way toward Zero Waste by recycling, composting, reusing materials, rethinking their purchasing practices and refusing to accept waste as “normal.” Western Disposal recognizes local businesses with its Excellence in Waste Diversion Awards while Eco-Cycle has a list of its Zero Waste Business Partners. These businesses ROCK, and we owe them a lot for their voluntary efforts to help build a sustainable Boulder. It's time we get every business on board! It’s time every business in Boulder did at least the bare minimum when it comes to recycling. Education and financial incentives are a great way to boost recycling rates, and the City of Boulder, Boulder County and Eco-Cycle have provided this to businesses for 25 years. It’s brought us where we are today, and we’re thankful for the great work that’s been done so far. But around the world and here at home we’re seeing that voluntary programs can only deliver so much change. A policy approach can be more cost-effective and have a far larger impact, and we don’t think Boulder can reach its Climate Action Plan goals or its Zero Waste Master Plan goals without a policy on business recycling. Most communities rely upon education, rather than strict policing, to let businesses know about the new policy and help them set up their bins, train their staff, and improve their programs. There is usually an adjustment period of 18-24 months before any enforcement happens. Businesses aren’t fined if there is a single cardboard box in their trash dumpster. The goal is to work with businesses and recycling haulers to find the right program for everyone and use enforcement only when a business refuses to participate or excessively contaminates recycling bins even after several attempts at education and assistance. > What's happening around the world? Boulder County Commissioners passed a Zero Waste resolution in 2005. Through the resolution, the county adopted Zero Waste as a guiding principle for all county government operations, and for outreach activities and waste reduction strategies within the community. The ultimate goal of Boulder County’s Zero Waste Plan is to design systems that eliminate the production of waste and achieve Zero Waste or “darn near” by 2025. Read the county resolution and learn more about the county's Zero Waste efforts. Unincorporated county residents (outside mountainous areas) have curbside single-stream recycling and composting service. In May 2006, Boulder City Council passed a Zero Waste resolution which “hereby encourages the pursuit of Zero Waste as a long-term goal in order to eliminate waste and pollution in the manufacture, use, storage and recycling of materials.” Read the City of Boulder resolution. City of Boulder residents have pay-as-you-throw single-stream recycling and single-family households have curbside composting services. The City of Longmont adopted Zero Waste in October 2008 and according to the ordinance, "The City hereby declares itself a Zero Waste Community and encourages the pursuit of Zero Waste as a long-term goal in order to eliminate waste and pollution in the manufacture, use, storage, and recycling of materials." Read the City of Longmont's Zero Waste resolution and learn more about Longmont's Zero Waste efforts. City of Longmont residents have curbside single-stream recycling. In early 2009, the City of Louisville contracted with a local hauler to provide recycling, composting and trash services to all non-HOA residents at a price comparable to what many were paying for fewer services. Read about the city's curbside programs and how they benefit residents (p.4). The city of Lafayette was the first in the Rocky Mountain region to offer residents universal curbside recycling service through a city contract with a local hauler. Read more about the impact of the city's program (p.2). Zero Waste is also an important part of our local communtiy events and festivals. Learn how to make your next event Zero Waste, be it a huge summer festival or a backyard BBQ. The Boulder Farmer's Market has been Zero Waste since 2005, the first ongoing Zero Waste event in the country. In honor of Earth Day, Eco-Cycle is helping Boulder County residents reach two important goals: 1) Maximize our community’s recycling opportunities, and 2) Go beyond recycling to build a sustainable, Zero Waste community. We have a wide variety of community programs in Boulder County that can help us recover up to 90% of our waste! Did you know you can now recycle screw-top plastic caps by attaching them to empty plastic bottles? Make sure you’re recovering everything you can by downloading curbside single-stream recycling guidelines at www.ecocycle.org/recycle-compost-reuse (see green sidebar) and posting them in your home or workplace. Stay up to speed on the latest guideline changes by signing up for our recycling updates e-newsletter. It includes alerts for special seasonal collections, like wrapping paper during the holiday season! If you're outside Boulder County: Learn your local recycling guidelines by checking in with your recycling hauler. Learn the Dirty Dozen worst recycling contaminants at www.ecocycle.org/dirtydozen and help keep these materials out of the single-stream recycling bin so we can prevent costly contamination. Follow us on Facebook and Twitter for weekly recycling tips, and check out our contamination videos on our YouTube Channel: EcoCycleMedia. Taking a tour of the Boulder County Recycling Center 1) is pretty fun and 2) helps explain how these contaminants cause problems. Did you know you can recycle old electronics, ripped or stained clothing, plastic bags, bubble wrap, cooking oil, bicycles, yoga mats, scrap metal and now small plastic appliances (like busted hair dryers and coffee makers) at the Eco-Cycle/City of Boulder CHaRM (Center for Hard-to-Recycle Materials)? This 10-year-old facility is the first of its kind in the nation! Find full CHaRM guidelines for the whole list of unusual items. Fees may apply. Don't live around in or around Boulder County? 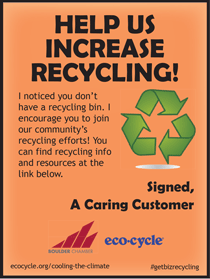 Find recycling centers at Earth911.com. If it’s recyclable in Boulder County, you’ll find out where through this drop-down guide found on the upper right corner of www.ecocycle.org. Don't live in Boulder County? Check out Earth911.com. Items like motor oil, paint, automotive products, pesticides and solvents can contaminate groundwater when landfilled. Residents and small businesses can recover these materials the safe way, free of charge, through the Boulder County Hazardous Materials Management Facility (HMMF) in Boulder. If you're outside Boulder County, look for local household hazardous waste programs. Recycling is critical, but it’s not the whole solution. Did you know that for every 1 can of trash you see at the curb, 87 cans worth of resources were used to make those products through resource extraction, transportation and manufacturing? We need to go beyond recycling to prevent that waste, resource destruction and pollution, and to combat climate change. We need Zero Waste—a system and set of actions that help us redesign products for reuse and recovery, make products with the smallest waste and energy footprint, and recover up to 90% of our waste. 6) Take the I Choose to Reuse 30-Day Challenge and join our campaign to help businesses Choose to Reuse! Choosing to reuse bags, water bottles, and to-go mugs and containers can make a big impact on your waste footprint. Learn more about these eco-scourges and how to avoid them in our annual magazine, the Eco-Cycle Guide, online at www.ecocycle.org/ecocycleguide. And check out all the reuse options in Boulder County with our “Tour de Thrift” map. Each year, 100 million trees are cut down to make junk mail. The production and disposal of that junk mail consumes more energy than 3 million cars. You can make it stop with Eco-Cycle’s mail preference service, free for Boulder County residents and businesses: Stop Junk Mail for Good. Eco-Cycle is sponsoring this award-winning service to prevent waste in our community, and it’s working: Boulder County residents and businesses have already opted out of 33,390 mailings! You can too at www.ecocycle.org/junkmail. In the U.S. alone, 500 million plastic straws are used EVERY DAY. To help our community prevent this waste (and save the petroleum used to make straws), Eco-Cycle partnered with 11-year-old Milo Cress of Longmont to help him promote a campaign he started at the age of nine: Be Straw Free. His campaign encourages consumers to say “no thanks” to straws and asks business/restaurant owners to adopt an Offer First Policy with straws, something the National Restaurant Association has already endorsed! Take the pledge to go “strawless” and donate to Milo’s campaign (and upcoming international speaking tour!) at www.ecocycle.org/bestrawfree. Parties and events can create an enormous amount of waste due to the non-recyclable single-use plastic or plastic-coated plates, cups and utensils that often “attend.” Skip single-use all together by renting reusable tableware from a local party company, or check out Eco-Cycle’s 100% compostable Zero Waste Party Kit for 25 - 200 people. Going formal this holiday season? Check out our Eco-Celebrations service for elegant “green tie” events including weddings and corporate events. Compost helps build healthy soils, something we desperately need in Colorado. It also helps combat climate change: Biodegradable materials like paper, food and yard waste break down without oxygen in a landfill and release methane, a greenhouse gas with 72 times the heat-trapping power of CO2! Find curbside composting guidelines, backyard composting tips, and vermicomposting how-tos for those who live in small spaces or in bear country at www.ecocycle.org/compost. Search for composting facilities nation-wide at www.findacomposter.com. Reducing your waste is even more critical than recycling it. Help shift our single-use to-go culture to one that is sustainable: join our I Choose to Reuse campaign and take the 30-Day Reuse Challenge now. Thank you for recycling at your event! 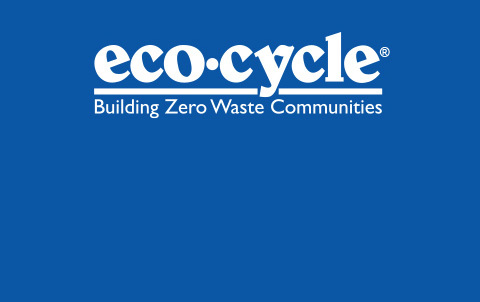 Eco-Cycle maintains and stores several recycling bins, owned by the city of Boulder, for use at special events in our community. There is no charge to use these bins if they are picked up at the Eco-Cycle/City of Boulder Center for Hard-to-Recycle Materials (CHaRM) and then returned empty, clean and in good condition after use. If the bins are returned full of recyclables, soiled, broken, or if they are not returned at all, you will be billed $50 per bin. Bags are offered for $1.25 per bag and can be paid for when the bins are picked up at CHaRM. (We recommend approximately one bin for every 25 people.) These are heavy-weight plastic bags with "Recycle" printed on them. If you want to provide your own, the bags should be clear and measure 45" x 48" (usually 45-gallon or larger bags will work). Clear bags allow participants to see the recyclables and prevent contamination. Recyclables collected during your event can be dropped off at your local drop-off center, in your curbside recycling bin or at the CHaRM. Be sure to remove the containers from the plastic bag before dropping them off. To reserve these collapsible recycling bins, please complete the following form. You will be contacted only if the bins are not available. Thank you! *Recycling bins are available for pick up and return Monday - Friday, 9 a.m. to 4 p.m., at the CHaRM in Boulder. View a map to CHaRM. 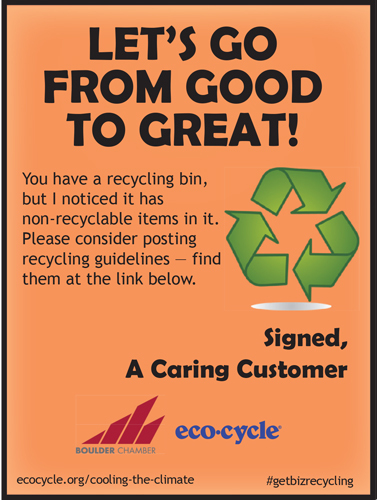 I have read the above responsibilities associated with borrowing special event recycling bins from Eco-Cycle. I assume responsibility for the pick-up, cleaning, and drop-off of recycling bins from 6400 Arapahoe Ave. I understand I will be billed for broken, dirty, or unreturned containers.